We can now gain insights with the unveiling of Belanjawanku, an Expenditure Guide for Malaysian Individuals and Families, launched by the Employees Provident Fund (EPF) in early March. The guide offers an idea of the living costs for respective household categories. It encompasses the expenditure on basic needs and involvement in society for a reasonable standard of living in the Klang Valley. According to Belanjawanku, a married couple with two children spend about RM6,620 per month on food, transport, housing, childcare, utilities, healthcare, personal care, annual expenses, savings, social participation and discretionary expenses. When I read this guide together with the income statistics published by the Statistics Department, it reveals that a vast majority of Malaysians can’t afford to live in the Klang Valley. Based on the statistics, the median household income for Malaysian households in 2016 is RM5,228, far below the RM6,620 required for a family with two children to stay in the Klang Valley. If we take a closer look, the median income of M40 group (Middle 40%) is RM6,275, which means five out of 10 households in this category received RM6,275 per month or less. This indicates that over 60% (40% from B40 households and half of the M40 households) of Malaysian households (if they have two children) can’t afford to stay in the Klang Valley. What went wrong in the process? Why are many households having challenges to meet the required budget? According to Belanjawanku, a married couple with two children spent the majority of their income on food (RM1,550), followed by childcare (RM1,150) and transport (RM1,040), then only on housing (RM870) and other items. 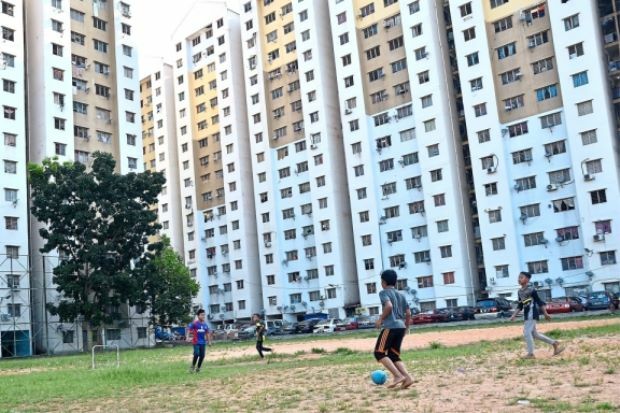 Based on the research, even if housing was provided for free, a household of four would still need RM5,750 to sustain their lifestyle. Therefore, the common perception that only housing is expensive is not right. It is not that housing is expensive, but that everything is expensive because of inflation over the years! The value of our currency has fallen due to global money printing measures over the past decade. 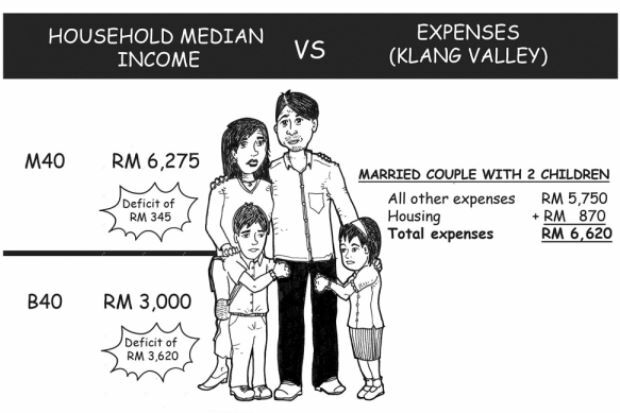 Belanjawanku compiles only core living expenses without luxury items or excessive spending. It also doesn’t include long-term financial planning tools such as funds for education or investments. 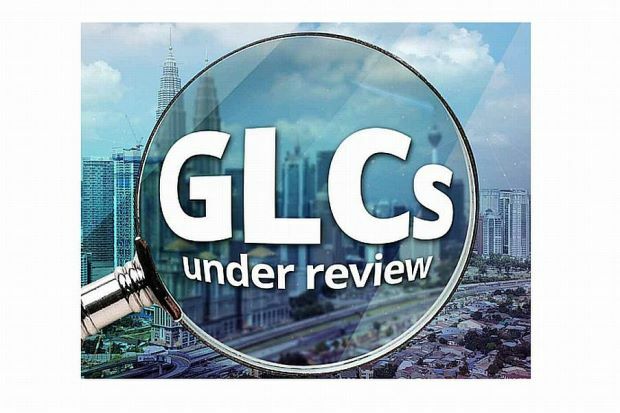 If the majority of Malaysian households have challenges in meeting the existing expenses listed in the guide, it poses a serious concern on their future financial prospects. 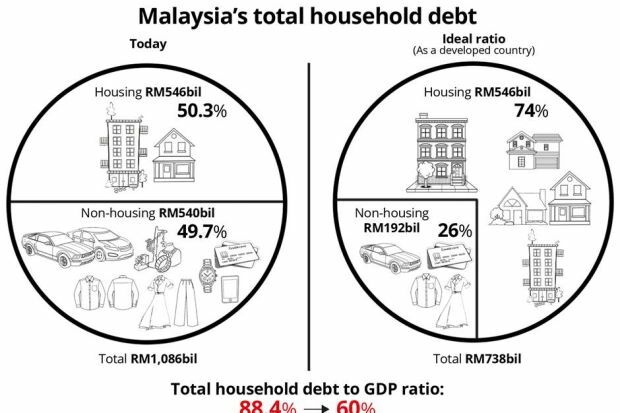 The underlying factor of this challenge is the low household income earned by Malaysians. The previous government failed to move us to a high income nation as they had promised, and more families are stretching to make ends meet now. It may lead to serious financial problems in the future. If median household incomes don’t increase, the B40 (Bottom 40%) and half of the M40 will always struggle even if housing is free, assuming that they aspire to have two children and to live in the Klang Valley. According to Transparency International Malaysia, corruption had cost our country about 4% of its gross domestic product (GDP) value each year since 2013. Added together, this amounts to a high figure of some RM212.3bil since 2013. For 2017 alone, that figure was a whopping RM46.9bil! Imagine what we can do with these monies if there was no leakage in the system? The previous government should have channeled the money to stimulate economic growth and increase the income of the rakyat. Going forward, I am optimistic that the new government, with its promise of a clean and transparent government, can finally fix the leakage and focus on generating a higher income level for all Malaysian households. Financial independence is a key factor in the overall well being of the rakyat. We need to increase household incomes to a level where families can meet their basic needs and embark on long-term financial planning, to elevate their quality of life. Then, and only then, will housing and other living expenses finally become affordable. Housing affordability is an income issue, what’s with the fuss? An economist had said that Malaysia without the Goods and Services Tax (GST) is too dependent on oil revenue. Budget 2019 was based on crude oil at US$70 and considering that the year-to-date average is lower, the country would not be able to keep to spending limits. 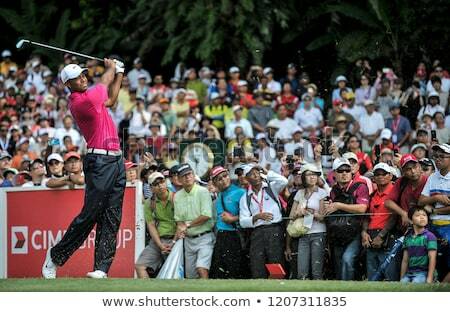 Ironically, the story of Malaysia’s being a “boring and under-performing” stock came as golfer Tiger Woods made a remarkable comeback to win his first major tournament since 2008. That was the time when the golfer’s on-course performance started to go downhill due to injuries and “off-course” affairs that led to a broken-marriage. Sponsors stayed away from Tiger Woods and he lived with a tag as a great golfing talent that never made it. Now he is seen as a role model in the story of triumph against adversity. Woods US Masters win is now repeated as a story of why one must never give up and the fruits of labour will finally pay off. Sadly, it only applies in the world of sports. In the sporting world, there are clear rules and everybody play within the rules or they are disqualified. Sports world is based on meritocracy. If you good and talented, you would be found – some way or other – even if you live in Borneo. Sarawak has produced amongst Malaysia’s best sprinter and diver in Watson Nyambek and Pandelela Rinong who proved their worth based on merit. Running a government to please people with different demands is not so easy. Meritocracy is only a slogan. It reality, it is hard to implement. For instance, the government’s bail-out of Felda and Tabung Haji are seen as further straining the country’s balance sheet. 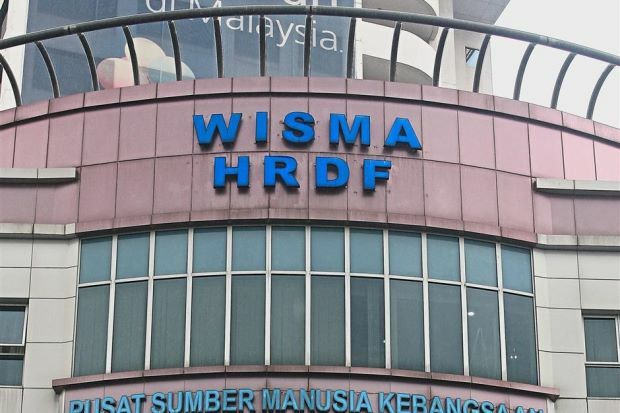 The fear that the of Budget 2019 objective of keeping fiscal deficit at 3.4% cannot be achieved considering that the government has to fork out RM6bil to rescue Felda. 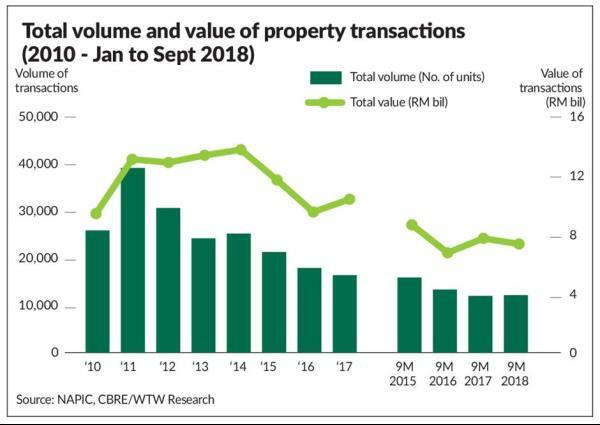 However, what investors fail to realise is that the government cannot afford not to bail out the likes of Felda and Tabung Haji. It cannot operate completely on meritocracy and go by the book strictly because there are political considerations to weigh on. 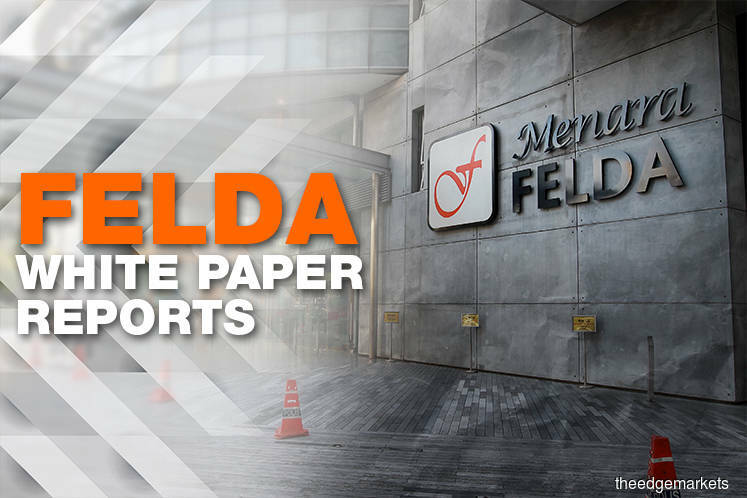 Felda needs to be rescued because of the massive mismanagement of funds. It involves the lives of 120,000 settlers and many more, if their families are taken into account. The Felda settlers are important voter bank and determine 52 parliament seats. Most of them are Malays who form the bulk of the voting population of the country as a whole. Whether we like or not, issues that Felda and Tabung Haji face has to be resolved if there is to be any political stability. The only consolation is that those who are responsible for the mismanagement of Felda, Tabung Haji, 1Malaysia Development Bhd (1MDB) would eventually pay a price. In communist China, these people would have faced the firing squad. In Malaysia, it takes time to penalise those responsible under the law. Pakatan Harapan’s messaging to investors is that it provides accountability, transparency and discipline in running the government. It revealed the total debts and a bigger budget deficit for 2019 and left it to investors to decide if they are prepared to put money in the country. That it does not tolerate corruption is a message that is being drummed countless times. Is there is a premium in being transparent, accountable and standing firm against corruption? Yes there is. But as a fund manager says, it does not tell investors where to put their money. 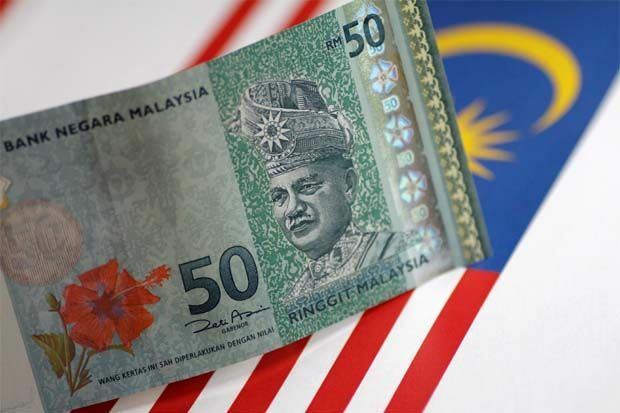 It does not tell investors if there is going to be a continuity to the government’s policies and who the next Prime Minister is going to be after Tun Dr Mahathir Mohamad. The fund manager says that Malaysia needs to tell another story, apart from governance and transparency. Towards this end, a good line of messaging would be on addressing the political transition after Dr Mahathir. The fund manager is right in his argument because long term capital needs political stability and leadership certainty. Dr Mahathir, who is named as among the most powerful persons by Time Magazine, probably knows best why he is delaying in setting a firm time table to hand over power to the only person who has been named so far, which is Datuk Seri Anwar Ibrahim. 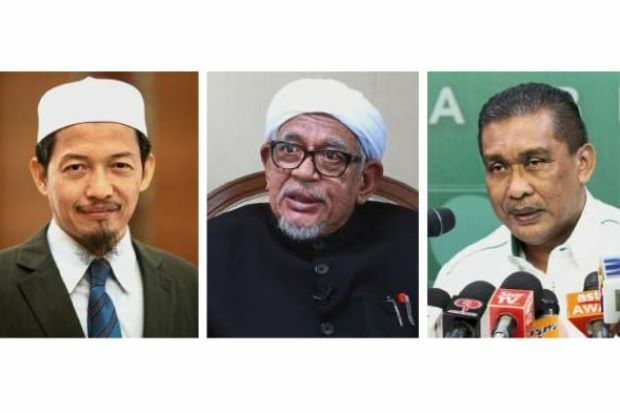 Probably because the minute Dr Mahathir announces the time-table to handover, he would be a lame duck Prime Minister, a role the 93-year veteran politician would not relish. Apart from politics, the other matter bogging investors is the slowing Malaysian economy. The concern is that the economic growth of 4.5% would not be met and that Bank Negara would be forced to bring down the interest rates. When interest rates are down because of a slowing economy, it dampens sentiments on the ringgit and puts yields of bonds under pressure. The prospects of a lower yield and weakening currency are just the catalysts needed for bond investors to take some money off the table. The unfavourable rating by little known Russel Fund Index earlier this week did not help matters. 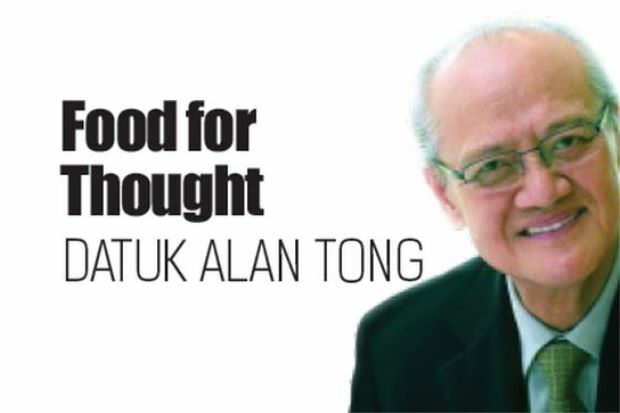 The end result is that the government bonds are under pressure and so is the ringgit. The government should keep up with doing the things it can best do, which are enhancing transparency, governance and being more careful in handling public funds. Investors will view with scepticism until they see hard numbers on the economy and consistency in growth. The Malaysian stock market was among the world’s best in 1993 on the back of a roaring economy that started its growth path some four years earlier. The economy over-heated, the government got carried away with spending and we paid a heavy price by the ringgit and stock market crashing. It all came down with a thud in 1997. The Pakatan Harapan government wants to see Malaysia be a “tiger economy” once again. But it would not be easy. The road ahead is treacherous with lots of obstacles – balancing the demands of the political and social agenda. We cannot do it the Tiger Woods way because there is no meritocracy when it comes to governing a country. But we will get there eventually as long as we stay the course. 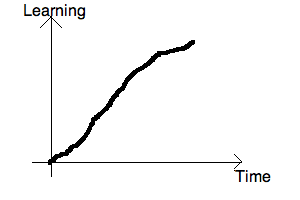 What is meant by “steep learning curve”? Unfazed, this mass comm graduate overcame all kinds of challenges to make it in business. SAMANTHA Mah did well on her first business venture but suffered a loss on her second. However, failure did not deter her and her two partners from moving on. They gave it another go until they could see the fruits of their labour. Mah’s first business received an investment of RM10,000 from her sister, Natasha, 37. She and two investor-partners started an online boutique targeted at young women. After one-and-a-half years, business picked up and was quite good. Mah, 30, is the youngest in her family. She has two elder sisters and a brother. Mah, Natasha and a friend Jason Leong, 31, started their trading company on March 8, 2011. Just four months later, it incurred a big loss, prompting them to change the products they were selling – from peanuts and sesame seeds to edible organic products. 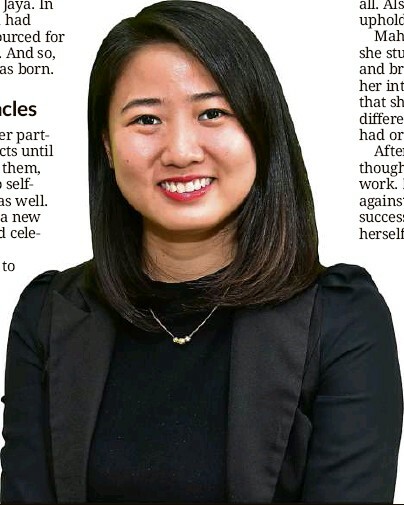 A mass communication graduate from Universiti Tunku Abdul Rahman (UTAR) in Selangor, Mah had worked part-time as a company administrator and voice talent for radio commercials before she venturing into business. She is now the marketing manager/managing director of her company. After starting Wide Tropism Trading, she passed her online boutique business to a friend. One of the biggest challenges for Mah, at the beginning, was that neither she nor her partners had a corporate background. “We handled matters based on our experiences. Sometimes we had to ask friends for advice. “In the first few years, there were lots of arguments,” she said. Mah is glad that her relationship with Natasha survived those trying times. As part of the company’s costcutting measures, each of them had to take on more responsibilities in various departments. “There were too many things on my plate – human resource, accounts, design and marketing – and I was suffocating. But we did not have enough (finances) to hire staff,” said Mah. After two months, she “exploded” and cried during a meeting. “I could not take the pressure and workload anymore,” she said. Eventually, they could afford to hire new staff. “Only then did things start to fall into place,” she said. Initially, they were importing foods such as peanuts and sesame seeds, and distributing them to local suppliers. Unfortunately, they suffered a huge loss in the first year itself due to unscrupulous parties. Due to limited cash flow, they could only import one container of stock at a time. Each time, they flew over to the exporting country, India, to check on the quality of the stock and witness the peanuts being loaded into the containers. The first two shipments went through successfully. However, the third shipment, supposedly of Grade A peanuts, was discovered to contain Grade C stock instead, when it arrived. The supplier denied it was his fault and instead blamed others. They then contacted the High Commission of India, in Kuala Lumpur, for help but to no avail. “We wondered how we were going to continue business. My father advised us to pick ourselves up, learn from it, and be more careful. Everyone was very supportive and encouraged us to continue. They believed we could do better,” she said. Mah then sought help from her uncle, an experienced fruit trader and grocer. He advised her to run a business that’s less risky, such as repackaging and distributing organic products. She and her business partners promptly took his advice. In July 2011, her company had its first customer, a newly opened supermarket in Petaling Jaya. In two months, Mah’s team had designed the logo and sourced for products and packaging. And so, their label Love Earth was born. Every day, Mah and her partners packed their products until midnight, and delivered them, working on weekends to selfpromote their products as well. Gradually, it was time start their expansion plan but they were hampered by limited cash flow. They knew they had to spend more to create brand awareness. That’s when they started their online webstore. “None of us had any knowledge about marketing. So I attended marketing and e-commerce talks to learn and see what we could do,” she said. But their efforts paid off. After five years of sheer hard work, they could buy two units of four-storey shophouses. The company started with 50 products and now has 180. 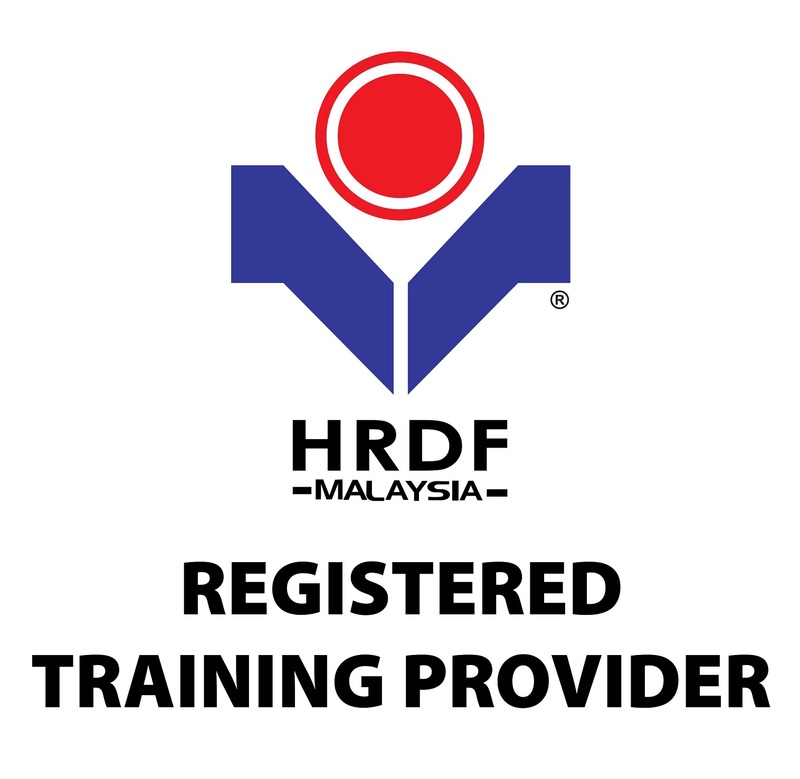 Currently, it is distributing these products to over 500 outlets throughout Malaysia. Mah, who got married two years ago, plans to expand her family this year. Her husband, C.V. Loh, 32, distributes bio-degradable plates, lunch boxes and bowls as well as health supplements. She plans to raise her children herself and not send them to a nanny. She also hopes to travel more in the future. Presently, she travels at least thrice a year. Seeing other countries and cultures opens up one’s mind, she said. Although she is a career woman, Mah believes in putting family first. “Women play a role in bringing up the family. If a child is not well taught, he might be a nuisance to society in the future. 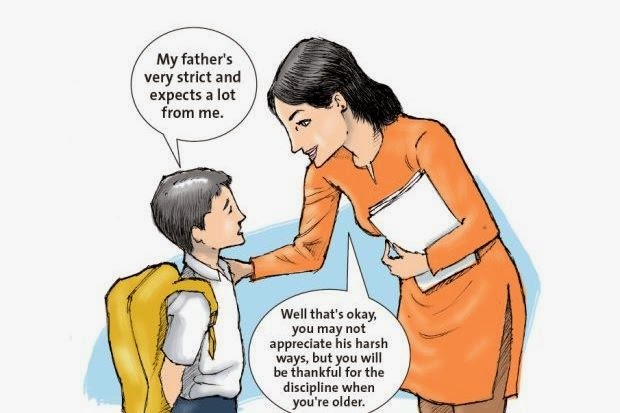 But if he has a good upbringing, he can be the sun that shines and brings benefits to all. Also, a woman is the pillar that upholds the family,” she said. Mah explained that even though she studied mass communication and broadcasting, it was during her internship that she realised that she wanted to go on a different career path than she had originally planned. After her graduation, she thought of going into volunteer work. But her uncle advised against it. He told her to be successful so that she could help herself and others in future. 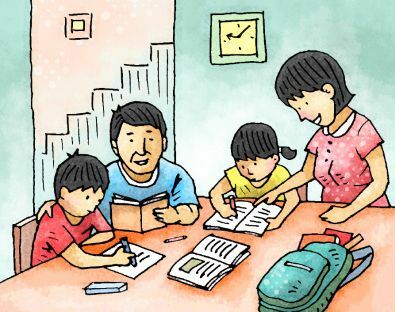 More and more Malaysian parents are turning towards homeschooling today for various reasons. 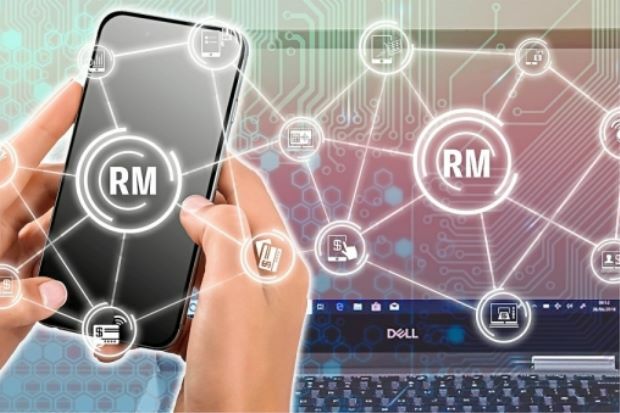 Bank Negara’s plan to issue up to three virtual banking licences has excited the local financial sector which otherwise has begun to look a little lethargic. stated that it is looking to issue up to three virtual banking licences has excited the local financial sector which otherwise has begun to look a little lethargic. The announcement comes at the same time as Hong Kong’s move to issue three licences of this type to a combination of companies partnering finance firms, namely Standard Chartered, BOC Hong Kong Holdings Ltd and online insurance company ZhongAn Online P&C Insurance Co.
Five more of such licences in the city are being processed. In Malaysia, the announcement by Bank Negara is significant also because the central bank has not issued any new banking licences for many years now. That said, both Hong Kong and Malaysia’s move to encourage pure online banking ventures is very much in line with the fact that fintech innovations are slowly but surely seeping into the daily lives of people globally, providing cheaper and more easily accessible financial services. The idea of virtual banks – which theoretically means a bank without any physical branches whatsoever – however, is not entirely new. In fact, many countries such as the United States and the United Kingdom have attempted it. Some have failed, others continue to operate, taking deposits and giving out loans much like traditional banking outfits. Closer to home, India, China, South Korea and Japan have ventured into this model. Japan, for instance, went for the zero branch strategy as far back as the 1990s with the setting up of Japan Net Bank. There have been other Internet banks there since then such as Seven Bank which has been providing financial services via ATMs across 7-Eleven convenience shops in Japan since the early 2000s. In South Korea, the then-chair of the Financial Services Commission, Yim Jong-yong gave initial approval for the setting up of the country’s first two virtual banks back in 2015. K Bank was its first, starting operations in April 2017 followed a few months later by kakaobank, which started with some W300 billion (about RM1.077bil) in start-up capital. To be sure, virtual banks, which primarily target the retail segment including the small and medium-sized enterprises (SMEs), have existed even before the concept of fintech – which is basically using technology to provide improved financial services – gained prominence over the last few years. The rise of fintech in recent times can be attributed to consumers becoming increasingly tech-savvy and more demanding when it comes to convenience on-the-go. It also stems from the fact that there are millions of individuals who are unbanked or underbanked but who now have access to the Internet. In China alone, mobile payments run in trillions of yuan. It is perhaps this increasing savviness that is contributing to regulators the world over wanting to push for more virtual banks and easing guidelines to fit the concept in. 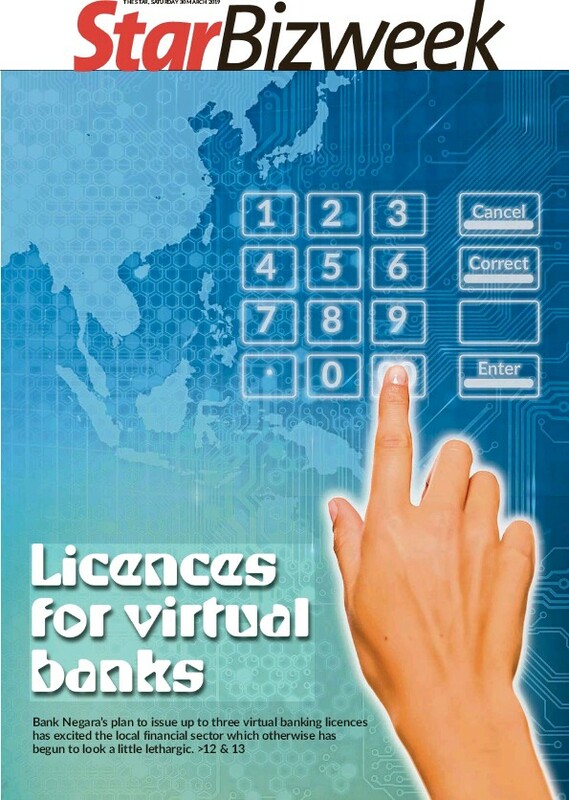 It is noteworthy that within the Asean region, Malaysia is among the first to attempt this virtual bank model. Timo, Vietnam’s first bank sans any traditional branch, was officially launched in 2016 while nearest neighbour Singapore currently does not have any banks purely of this nature.Even so, Bank Negara governor Datuk Nor Shamsiah Mohd Yunus has said that the central bank is currently working towards releasing licensing guidelines for such operations only by the end of this year. She has stressed that discussions with the few parties interested in setting up virtual banks in Malaysia are still at the preliminary stage. Still, that’s not stopped industry people from raising questions, many of which are valid. For starters, notwithstanding theoretical definitions, what will be the exact definition of a local virtual bank ? “Who can apply to operate such banks and will these guys be subject to the same rules that apply to traditional banks such as those involving capital requirements and such?” asks one senior banker attached to a regional bank. While the jury is still out on rules that will apply in Malaysia should the idea materialise, a broad idea on this can be gleaned from the guidelines that have been set out by the Hong Kong Monetary Authority (HKMA). According to the HKMA, firstly, a “virtual bank is defined as a bank which primarily delivers retail banking services through the Internet or other forms of electronic channels instead of physical branches”. HKMA’s guidelines include rules such as virtual banks having to play an active role in promoting financial inclusion when offering their banking services. “While virtual banks are not expected to maintain physical branches, they should endeavour to take care of the needs of their target customers, be they individuals or SMEs,” it says, adding that virtual banks should not impose any minimum account balance requirement or low-balance fees on their customers. In terms of ownership, the HKMA says that because virtual banks will mostly be focused on retail businesses covering a large pool of such clients, “they are expected to operate in the form of a locally-incorporated bank, in line with the established policy of requiring banks that operate significant retail businesses to be locally-incorporated entities”. It also says that it is generally its policy “that a party which has more than 50% of the share capital of a bank incorporated in Hong Kong should be a bank or a financial institution in good standing and supervised by a recognised authority in Hong Kong or elsewhere”. While the guidelines cover a lot more, it is worthwhile pointing out that the HKMA is of the view that “virtual banks will be subject to the same set of supervisory requirements applicable to conventional banks”, with some of the rules being changed in line with technological requirements. It adds that in terms of capital requirement, “virtual banks must maintain adequate capital commensurating with the nature of their operations and the banking risks they are undertaking”. Interestingly, in the first round of licences given out by the HKMA, there was a noticeable absence of major Chinese tech companies like Tencent Holdings Ltd and Alibaba Group Holding Ltd’s Ant Financial, which many would have thought make obvious choices given their experience in carving out game-changing fintech-centric services especially in their home country of China. “Mobile payment services offered by the likes of WeChat and Alipay are possible with Internet giants like Alibaba and Tencent behind the entire ecosystem, the fact that they were not included raised some eyebrows,” says one Hong Kong-based banking analyst. In the same vein, Hong Kong has been criticised for not being proactive enough when it comes to encouraging financial start-ups and being overly protective of conventional banks as evident in its fintech sandbox programme of 2016, which was reportedly introduced to help traditional financial institutions try out new technology instead of supporting fresh start-ups. 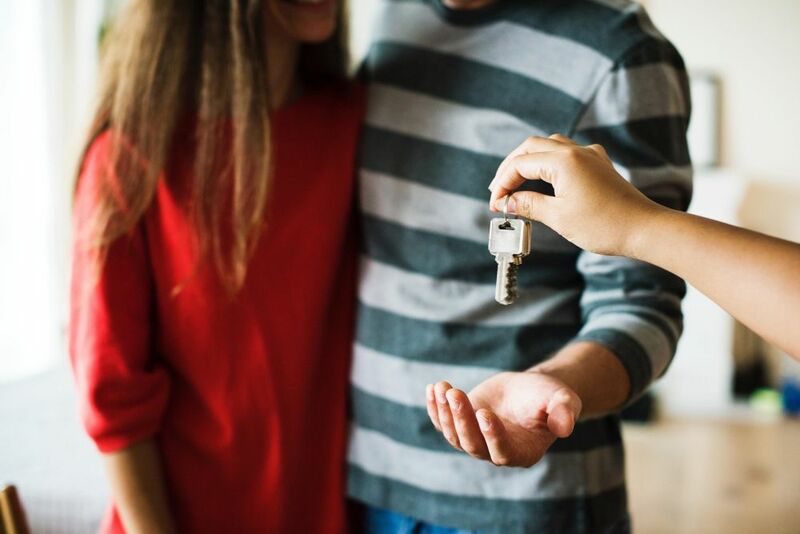 “Still, a start is better than no start and we are looking forward to when these virtual banks start operating in nine months’ time,” says the analyst. He adds that as long as security is not an issue, he hopes that virtual banks will be able to provide what traditional banks are “still not good at”, namely personalised customer service and cheaper services. While it is early days yet in Malaysia, the general feedback is that virtual banks will be good, specifically for consumers who will have more choices. But this will come at the expense of increased competition within the banking sector. Analysts in Hong Kong have predicted that about 10% of revenue belonging to traditional banks there will be “at risk” over the next ten years because of the setting up of virtual banks. Whether or not it will be the same for Malaysian banks remains to be seen. A lot of this will depend on the guidelines that the central bank plans to set out in the months to come. (The Star Online/ANN) – DURING the height of the fintech revolution that’s been taking place over the last few years, one prominent banker in Malaysia made an interesting comment during a private dinner. The banker said that while he welcomes fintech companies into the market, he wasn’t really afraid of losing any significant business to them. What he really feared, if anything, were the technology giants turning on a banking facility for the millions of users they have on their platforms. “This Facebook Bank, Google Bank or Whatsapp Financial Group,” he quipped in half jest. The logic is simple: with those platforms even then having had the myriad users globally, they are able to tap that user group to offer financial services. But banking remains a highly regulated space. Not every technology company will be able to fulfill those criteria or even have such intentions. Still, there are a number of virtual banks that have sprung up globally. Here are some of the more notable ones in this part of the region. WeBank is China’s first private digital-only bank, launched in early 2015. Besides Tencent, its other backers include investment firms Baiyeyuan and Liye Group. According to its website, WeBank provides consumer banking services through digital channels, as well as microcredits and other loan products. The Internet-only lender had turned in a profit one year into operation thanks to surging demand for microloans among blue-collar workers and small entrepreneurs. In 2017, WeBank made a net profit of 1.4 billion yuan or US$209mil, while its return on equity came in at 19.2%. Its total lending in that year was nearly twice that of closest rival MyBank for the same period. A recent stake sale of the bank values the company at US$21bil, making it one of the world’s largest “unicorn” companies. Banking Tech recently reported that the lender is now eyeing an Australian expansion to compete with payments company Alipay, which is its largest rival. 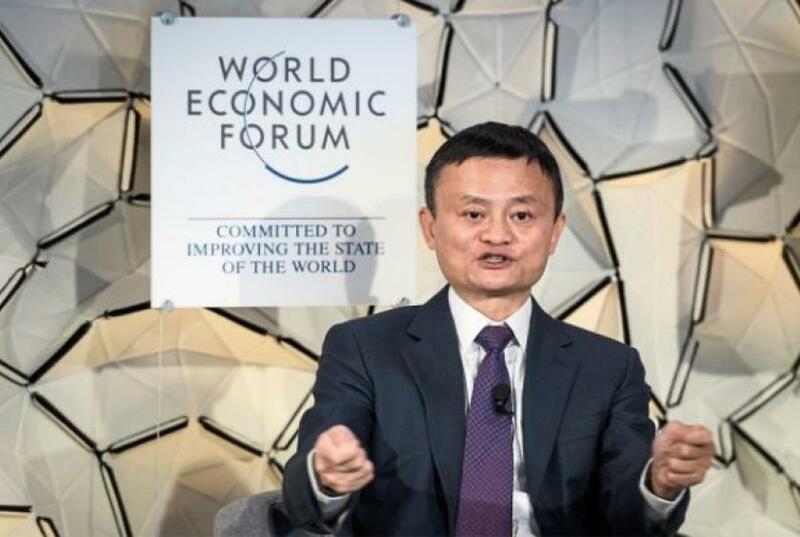 MyBank is backed by billionaire Jack Ma’s Alibaba Group Holding Ltd.
Alibaba affiliate company Ant Financial owns 30% of the online lender. Not unlike WeBank, it has a focus on consumer and small and medium-sized enterprises, a sector underserved by traditional banks in China. It uses credit data from the e-commerce giant’s AliPay product to conduct analysis for loans. By circumventing human involvement, the bank said it was able to deliver loans to borrowers faster and up to 1,000 times less than it would cost brick-and-mortar banks to do so. Like WeBank, it turned profitable one year into operations due to its less capital-intensive model. Ant Financial is reportedly looking to go public in the near future. Singapore’s banking giant DBS Bank launched Digibank in April 2016 – a move that has enabled it to penetrate the Indian retail banking market. Breaking away from conventional banking norms with their onerous form-filling and cumbersome processes, Digibank incorporates a host of ground-breaking technology, from artificial intelligence to biometrics. DBS CEO Piyush Gupta expects the mobile-only bank to break even in three to four years, which according to him is not such a bad deal as compared to the traditional branch model, which needs 15 to 20 years to break even. 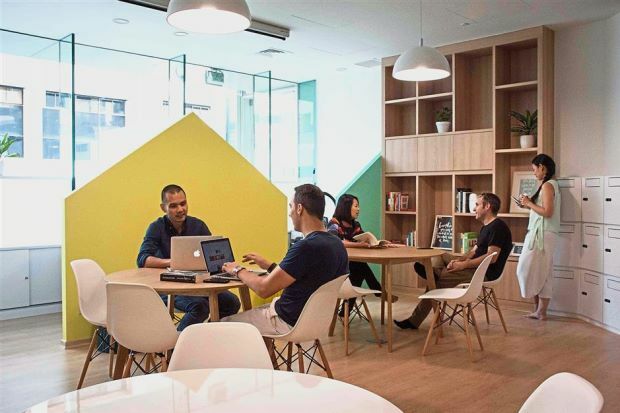 Digibank has over 1.5 million customers and it is handling them with 60 people rather than the 400-500 staff members it would normally need under the traditional model. Its cost-to-income ratio is in the low 30s. Following its Indian venture, DBS went on to launch a similar mobile-led bank in Indonesia where the government expects the country’s digital economy to reach US$130bil or about 12% of its gross domestic product in 2020. Elsewhere, OCBC is also reportedly pursuing a similar idea in Indonesia. Established in 2008, Jibun Bank reached profitability in less than five years. The outfit is a joint venture between Bank of Tokyo-Mitsubishi UFJ and local mobile network operator, KDDI. The story goes that instead of competing with each other, the two organisations decided it would make more sense creating a “separate bank” that complement their goals. The Asian Banker in a case study on Jibun Bank noted that in its first year, the lender had accumulated over 500,000 new customers. By 2015, Jibun Bank’s asset volume surpassed that of Japan’s oldest Internet bank, Japan Net Bank. Asian Banker also noted that the lender’s deposit volume has grown to a size that is comparable to that of a mid-tier regional bank – all of this without the help of a branch footprint. The two South Korea’s online-only banks have signed up new customers by the millions since beginning operations in 2017. Kakao Bank is run by mobile messaging Kakao and Korea Investment Holdings, while K-bank is operated by telco KT. The authorities there are hoping that K-bank and Kakao Bank would spur growth in a banking industry that has stagnated amid rising credit costs, narrowing interest margins and heavy regulation. The Financial Times in an October 2017 report wrote that about 300,000 new accounts were opened with Kakao Bank in the 24 hours following its launch in late July. This figure was more than what traditional banks in South Korea got in a year through online channels. And as at end-September that year, it had already garnered 3.9 million users. The news agency said that Kako Bank users can wire money abroad for just a tenth of typical commission fees. Its peer K-bank, meanwhile, attracted over half a million users in the few months following its April 2017 launch. In contrast, international banks operating traditional branch networks in the country were looking at downsizing their branches. Early this year, Shinhan Financial Group inked a deal with mobile app maker Viva Republica to set up an Internet-only bank, making it the third player in the game. Equinox to have small impact on Malaysia? PETALING JAYA: Equinox, a phenomenon where the sun is positioned on top of the head in the equatorial region, is expected to have a weaker impact on Malaysia. “The effects of equinoxes on the equator area are generally lower than the effects of monsoon and climate patterns,” said Malaysian Meteorological Department director-general Alui Bahari. The equatorial region, he said, receives maximum sunlight throughout the year. “Due to the constant sunlight it receives, the region will only experience a small variation in its climate due to equinoxes,” he said when contacted about how equinox will affect the weather in Malaysia. Alui was responding to a message that has gone viral via WhatsApp advising people to drink more water between March 22 and 28. “Drink more water for the next seven days (March 22-28) due to equinox. The body gets dehydrated very fast during this period. Please share this news to maximum groups,” the message reads. Alui said equinox happens twice a year, either on March 21 or 22, or Sept 22 or 23. In Malaysia, it happens on March 21 and Sept 23. Interestingly, MetMalaysia last year also had to refute news on the Equinox phenomenon. The department had then said a hike in temperature was expected to take place but would not result in a heat wave as claimed in the message. Alui said based on the monitoring of thermal wavelength status, as at 4.40pm yesterday, there was no area in the country experiencing heat waves, where the temperature exc­eeds 37°C in three consecutive days. 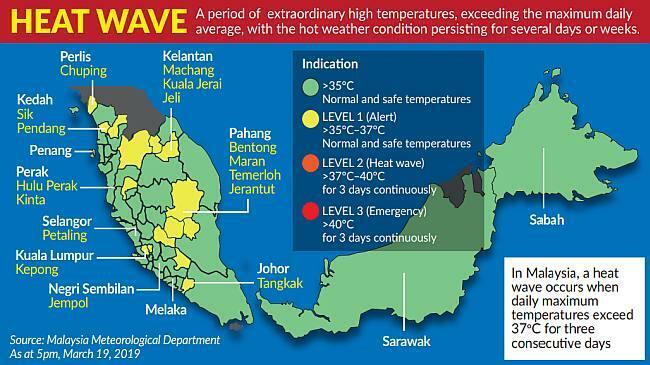 “However, there are some areas that are on the alert because the temperature in the area reaches 35 to 37°C, namely Chuping, Kota Setar, Pendang, Sik, Hulu Perak, Kinta, Jeli, Tanah Merah, Kuala Krai , Gua Musang, Jerantut, Maran, Tangkak, Sri Aman and Kapit,” he said. Universiti Kebangsaan Malaysia’s professor of climatology and oceano­­graphy Dr Fredolin Tangang said the hot weather in the Peninsula, especially the west coast, is expected to improve as the inter-Monsoon arrives. “Usually, there will be thunderstorms in the afternoon and late afternoon. But in Sabah and the northern part of the Peninsula, the hot spell may continue until April,” he said. The MetMalaysia website showed that several states in the country are expected to see thunderstorms in the coming week, starting today. For example, in Kuala Lumpur, Selangor, Putrajaya and Negri Sembilan, it is expected to see thunderstorms from March 23 to 25 and on March 28. No rain is expected on March 26 and 27. There will be thunderstorms from March 23 to 28 in Penang. In Sarawak, there will be no rain from March 23 to 25 and there will be thunderstorms over inland areas from March 26 to 28. In the meantime, Malaysians are doing their best to counter the effects of the hot weather. Lai Yuen Theng, who works in a daycare centre in Kepong, Selangor, said it was preparing porridge and herbal tea for the children to help “cool” their bodies. 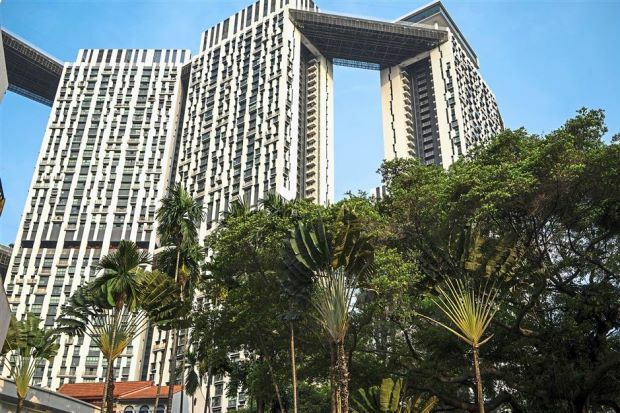 Property agent Melissa Chen, who lives in Kuala Lumpur, said she will try her best to arrange house viewings for her clients in the morning as the weather is extremely hot these days. “I will try my best to stay indoors. Last week, I brought clients to four places to look at condominium units. The temperature that day was about 37°C. I fell sick after dri­ving and walking under the hot sun,” she said. She also expected a spike in the electricity bill as she used the air-conditioner more frequently.